The international market for animated films is in rapid growth, and Danish animation is making a strong showing. The positive trend comes largely thanks to a talent-mass of skilled directors, animators and layout artists, nurtured mainly at the National Film School and the Animation Workshop in Viborg. Gunnar Wille, head of the National Film School’s animation-directing programme since its inception in 1992, devised the structure and content of the programme, recognising that directing and animating are two distinct practises. The-four-and-a-half-year programme trains students to be animation directors in film, TV and computer productions at the highest level. Getting to know every production link in the animation process, students learn the elements of animated filmmaking, including script development, dramaturgy, character design, drawing and computer animation. It all comes together, Wille says, to make them better directors. “The director has artistic oversight and has to be able to merge a team embracing the efforts of many different specialised people – animators, graphic designers, sound engineers, etc. – into an artistic whole,” he says. The animation world has undergone momentous changes since courses started in 1992, and the programme has continually adapted by implementing new technologies and work processes. Around 2003, digital and interactive media were folded into the National Film School’s animation programme in a partnership with the newly founded DADIU, the Danish Academy of Digital Interactive Entertainment. Students now train to be both animation directors and video-game directors. Recognizing the need for directors with a profound understanding of cross-media production, the Film School in 2012 initiated a new internationally oriented programme, the European Cross Media Academy (EUCROMA), which offers graduate students from all over Europe who have the relevant professional skills a semester’s training in a trans-media approach to animated films and video games. “Our directing graduates are well equipped to work in the new media world where films, video games and interactive media routinely fuse into new configurations,” Wille says. In January this year, 47 students were admitted into the programme that will initially train 200 students over the next three years. Helena Frank’s Heavy Heads, The National Film School of Denmark, was selected for the Shorts Competition at the Berlinale 2011. Since the beginning in 1998 the Animation Workshop in Viborg has grown from a job-training programme for young people into a highly respected school for animators with an international reputation placing it among the world’s leading animation schools. As general director, Morten Thorning has built up a national and global network of film studios, industry organisations, EU offices and government and municipal entities. In 2003, the Animation Workshop’s teaching activities were nationalised, and the school was accredited to offer a Bachelor of Arts in Character Animation (BAC). The baccalaureate programme, which takes three and a half years to complete, has since expanded into three sub-programmes: Character Animators, Computer Graphic Arts and Graphic Storytelling. Thorning defines the Character Animator as the animation director’s digital actor and the Computer Graphic Artist as the digital set designer who develops everything you see, including atmospheres. The Graphic Storyteller works with both manuscript and images and the interplay between these so that his or her vision is understood by the audience. “Though the three sub-programmes have several areas of work in common, we have to specialise our programme’s different disciplines to attain a sufficiently high level,” Thorning says. The Animation Workshop early on adopted an international development perspective, and the bachelor programme today counts some of the world’s top animators among its faculty, making the school an artistic melting pot for international animation professionals. The Bachelor of Arts in Character Animation is the biggest of the Animation Workshop’s seven departments. Its many other activities include open workshops for professionals and recent alumni looking to meet and develop new projects, as well as a wide selection of classes and master classes for professionals featuring international instructors in the latest knowledge and technology. 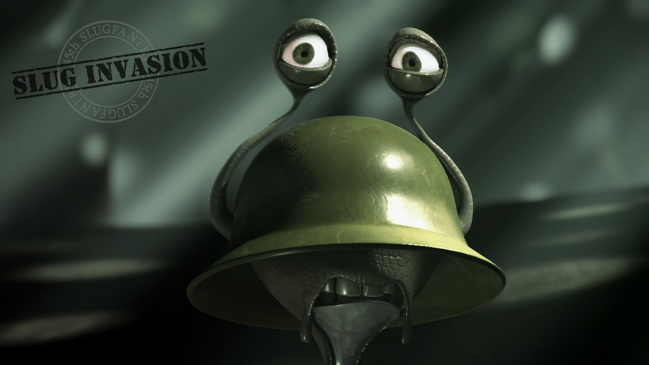 Morten Helgeland’s Slug Invasion, The Animation Workshop, competed in the Cinéfondation Selection in Cannes 2012. The National Film School’s 4½-year animation programme trains students as both animation and video game directors, the latter in partnership with DADIU (the National Academy of Digital Interactive Entertainment), see www.filmskolen.dk. The Animation Workshop in Viborg offers 3½-year BA programmes in Character Animation and Computer Graphic Arts plus a 4-year BA in Graphic Storytelling. According to head Morten Thorning’s basic definitions, the Character Animator is focused on movement and acting with characters, the Computer Graphic Artist is focused on scenography and character construction, while Graphic Storytelling is the art of telling stories though sequential art. www.animwork.dk. European Cross Media Academy is an international training programme in development of cross-media/trans-media projects, which integrate digital animation and games. See www.eucroma.dk.